America has thrived because of many things—agriculture, mining and industrial work, to name a few— and today we have become a service industry that is evolving into a tech-based society. It’s no surprise that with the evolution of the work field, we would end up with ghost towns all across the country, some of which are said to harbor actual spirits. Here are just five of hundreds available to visit around America. Dogtown was originally a common settlement that housed, at its prime, about 100 families. The rocky terrain and bad soil weren’t ideal for agriculture, so the town originally thrived by being the only direct route from Sandy Bay to Gloucester. The rocky terrain protected the residents and travelers from pirates and other attackers, but soon other routes would be established and the town would gradually dissipate. After the War of 1812, many families left because of continued attacks, but not all left. Many who stayed were widows of soldiers and sea-goers who had perished and left them behind. The widows kept dogs for companionship and protection, but as the widows grew older and died the dogs would become feral and roam the town. The last few residents who remained gained the reputation of practicing witchcraft—namely Thomazine “Tammy” Younger who was known as Queen of the Witches. 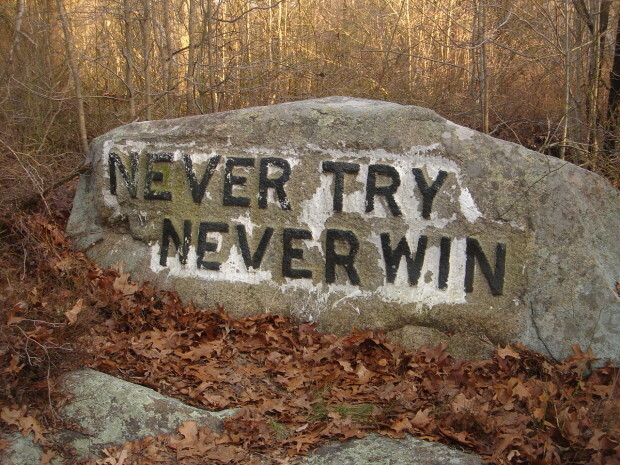 These few remained until their dying days, and afterward the town became totally abandoned except for the wild dogs, hence the name “Dogtown.” During The Great Depression, Roger Babson hired unemployed stonecutters to carve inspirational messages into boulders that littered the town. 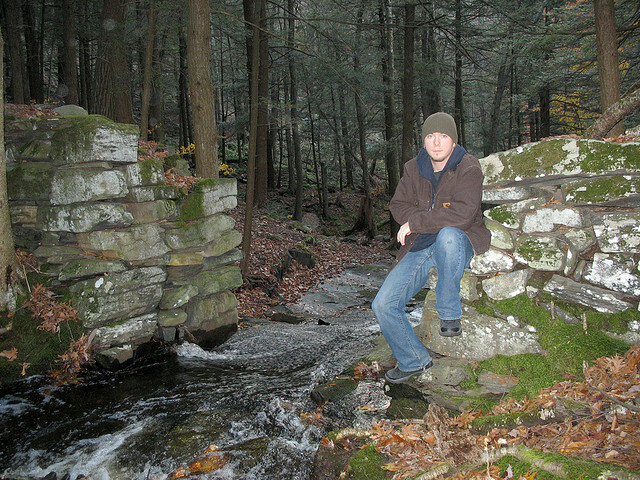 Today the carvings can still be found, and the spot is ideal for nature lovers and hikers. It is also a popular destination for paranormal investigators—the Dogtown trails are known as haunted hikes, and hikers have reported visions of a woman in black and a large black cat who disappear when approached. However, there have been several disappearances of living people over the years, so visitors must use caution. In 1984, Dogtown saw a surge in visibility when a well-known school teacher had her skull brutally crushed by a strange, troubled resident, and today, the abandoned settlement remains much the same, shrouded in a curious, faintly sinister mystery. As this writer is a native, we have to talk about Helltown, even if we have never been able to find the damn thing. Helltown was originally known as Boston Village; it is located in Boston Township near Cuyahoga Valley National Park. It was founded in 1806 and was a pretty lively town until 1974, when Gerald Ford signed the bill that created the national park. After some houses were demolished and the rest boarded up, rumors started that resident Satanists had set up shop in the abandoned town. Supposedly upside down crosses were nailed to what would have been an old church, and people became wary of the area at night, but as it turned out the “upside down crosses” were actually just a token of Gothic architecture. Other rumors surround the place as well. An old school bus with the seats removed is said to sit at the edge of the town and is evidently haunted. Others say the town was actually closed by the government to conceal a chemical spill, a rumor furthered by the empty houses purchased for demolition by the National Park Service. Also, Helltown is apparently home to a crybaby bridge—the name given to bridges associated with child hauntings—though there are actually a number of these bridges in various parts of the country. Dudley Town, otherwise known as “The Villiage of the Damned” was found in the 1700s as a settlement for farmers. It was not originally intended to be a town but soon grew when the Dudley family began allowing fellow farmers to settle with them. Unfortunately, the soil wasn’t much good for farming and resulted in many of the families vacating when better land became available in the Midwest during the 19th century. During its short time as a settlement, Dudley Town fell victim to many attacks, illnesses, and even suicides, according to some disputed versions of the town’s history. Families began leaving and soon the town was abandoned. Many said the town was cursed by the Dudley family who had several family members involved in assassination attempts on the Royal family before settling in America. Starting in the 1940s, when the town became a tourist attraction, hauntings and sightings began to surface. Some claimed to see ghostly people and heard the sound of laughter and hushed talking in otherwise abandoned structures. Some even claimed to have been pushed and scratched by more aggressive spirits. Today, almost nothing of the original Dudley Town ruins remains, and the site is private property, meaning entry is forbidden. This mining town was a pet project for its main financiers, JP Morgan and the Guggenheims. The land consisted of roughly 70% copper, as well as silver and some gold. With five running mines, Kennecott boomed in production. By 1916, they were at peak success levels and would go on to rapidly produce until being shut down in 1929 after almost all of the ore had been depleted. Soon all 5 mines and 196 miles of railway were disbanded. Soon residents of nearby towns began noticing strange tombstones by the side of the road leading into Kennecott that would seemingly disappear and reappear with great frequency—but it wasn’t until a housing project was planned that the restless spirits really got going. The workers complained of hearing the voices of men and children echoing through the town. They even reported that tools would wrench themselves from toolbelts and fly through the air into walls. After several of these incidents the housing project, like the town, was abandoned. In 1859, W.S. Bodey visited California and discovered a chunk of land with gold ready to be mined. The town was declared in Bodey’s name, but in the pre-spellcheck era, the name of the town was officially written as “Bodie.” By 1877, the town had grown to 12,000 people and was home to some rowdy and sinful residents. According to the town Reverend, “Bodie is a sea of sin.” The sin in question resulted from greed and lust. Bodie has a plethora of hauntings and curses that could serve as the basis of a TV show. One of the saddest stories to come out of Bodie is the story of Jim Cain’s housemaid, who was a Chinese woman hired to care for his house and prepare meals. Eventually, rumors began to spread that Cain was having an affair with the woman. Fed up, Cain fired the woman and sent her on her way. While the rumor was likely untrue, it disgraced the poor woman’s reputation and destroyed her ability to get a job anywhere else. She eventually killed herself, and some say that if you visit the Cain house she still remains working away. People have reported smells of cooking, music, and even the face of a woman peering out of the top floor window. Have you been to any of these towns? What other haunted areas do you like to visit?